Can the Internet of Things extend infrastructure shelf life? Web-connected sensors in every construction project should spell the end of over-engineering and a fresh era of efficient infrastructure. But an entirely new set of skills will be required to analyse the data from these Internet of Things enabled devices. Hundreds of web-connected sensors are placed throughout a bridge as it is built. As a result, for the entire life of that bridge it speaks to its managers, constantly feeding back data about its condition. The temperature in specific sections of the bridge is monitored, as is the vibration. In other areas, displacement and levels of stress are reported. The bridge alerts its managers to anything that needs attention. And who are its managers? Most likely the first port of call for the data is a ‘bot’, a piece of software designed to analyse masses of data and create an alert when necessary. The alert goes to a human member of the team, a specialist engineer highly trained in data analysis. When a human engineer receives an alert, it’s time to send a repair team. This is not the future – this is now. Since the deadly collapse in the US of the I-35W bridge across the Mississippi, the National Institute of Standards and Technology and the Michigan Department of Transportation launched a project, at a cost of US$19 million, to develop a next-generation warning system that can be retro-fitted onto existing bridges. Numerous engineering bodies around the world have been working on similar projects. The real power of such Internet of Things sensors comes with a new build, says Bhupinder Singh, Chief Product Officer at Bentley Systems. “Today, what you must do to maintain a bridge that has been built without sensors is have engineers regularly going out and inspecting it, then you use your engineering judgement on what you should do,” he said. “With sensors, think about what you can do to extend the life of existing infrastructure, first of all. In many cases infrastructure is living well beyond its designed life. Whether it’s an offshore oil platform, a bridge, a plant or a water treatment network, I can imagine so many situations where you could look at existing infrastructure that has nothing digitally available then instrument it, sensorise it, get the data and then make intelligent decisions based on that. Anything built in the next 10 years will be instrumented and sensored a certain way, Singh said, just as every new car will have sensors offering endless streams of information. Sensors will revolutionise every build, particularly long-life infrastructure projects for which the often contradictory priorities of efficiency and performance are expected to co-exist sustainably and in harmony. “Extending the life of a piece of infrastructure by five or 10 years can save a lot of money,” Singh said. 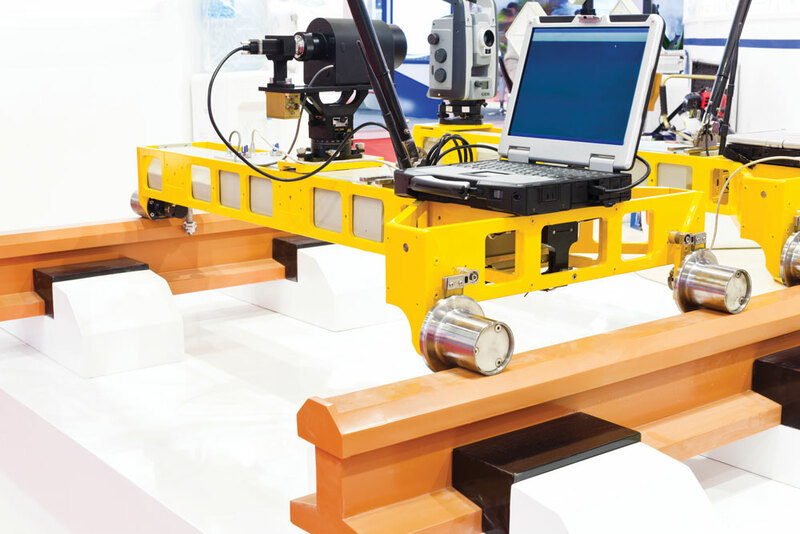 A typical rail surveying system is loaded with IoT sensors and measurement devices. Costs of builds themselves should become lower now that early warning systems take away the need for over-engineering and for laborious future maintenance schedules. “We’re all beneficiaries of safety factors that have been used in the past,” Singh said. “Whenever people built things in the past, they over-designed them to achieve a safety margin. Everything outlives its design because of that fact. “Now engineers are trying to be more efficient and more optimal in energy consumption or in the weight of the steel. They’re not over-designing things by the same factor any more. You can use this technology to compensate for that. Most exciting is the way sensors will be able to work together to predict various issues. Weather sensors could work with water management sensors to predict flooding and put dam management plans into play. Heat sensors could work with sensors in the electricity grid to help direct peak power to areas most likely to be using air conditioning. Sensors in roads could warn ‘upstream’ businesses such as fuel stations, hotels and roadhouses of increased potential demand hours before the traffic arrives. The issue, of course, is that for the magic to happen on so many fronts – construction, maintenance, safety, efficiency, performance – the engineering world needs people and systems to make sense of the mass of data that will be coming its way. 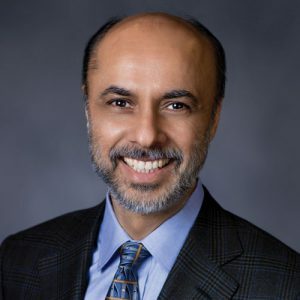 The new, web-connected and sensored reality of engineering, which Singh refers to as the ‘Industrial Internet of Things’, is driving a convergence of operations technology, engineering technology and information technology. Just as scientists can analyse human or animal DNA to anticipate health issues, or to personalise care strategies, so too will engineering businesses be able to harness structural DNA via data from sensors to customise asset maintenance. This is already resulting in impressive savings and efficiencies in such infrastructural systems as those used by South Australia Water. The challenge for engineering companies will be understanding the way their future business will need to look in order to take advantage of the powerful convergence of technologies. “Between the various IT systems that are storing the data, the systems controlling the sensors that are emitting the data, and the new engineering technology, you need a common data environment in which they can converge and harmonise in order to run analytics,” Singh said. “If these things are in separate silos you have a problem.